I do not think anyone would disagree with me when I say that we are living in a crazy world. Rapidly shifting politics and the normalization of domestic terrorism are naturally on everyone’s mind. Streaming services are building an empire, drowning out cable television. Amazon’s new service Amazon Prime Now will have groceries and products delivered to your door within two hours of placing your order. And has anyone forgotten that we have less than two decades to achieve worldwide cooperation to limit the global catastrophe that climate change will produce? However, this week, I wanted to turn my attention to a less urgent issue: Elon Musk’s descent into madness, or rather, his descent into normality. 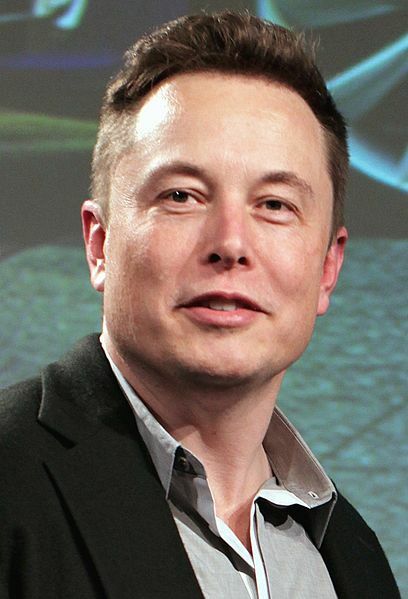 Musk is the co-founder, CEO, and product architect of Tesla, a high-end clean-energy car manufacturer. He also leads several innovative independent projects including cutting-edge transportation like the “hyperloop” that will move people from Washington D.C. to New York, with stops in Baltimore and Philadelphia, in less than a half hour. Musk also dabbles in space exploration, overseeing SpaceX, a private enterprise that manufactures and launches rockets and is attempting to turn mankind into a spacefaring, multi-planet species by constructing a self-sustaining and habitable civilization on Mars. This past February, SpaceX successfully launched Falcon Heavy, the most powerful commercial rocket in the world, into orbit around the sun, proving skeptics wrong around the world. But the past few months, Musk has been in the news for other reasons. In July, Musk offered a mini submarine to a team trying to rescue 12 boys and their football coach trapped in a cave complex in Thailand. His offer was turned down, and British cave explorer Vern Unsworth slammed Musk for his PR effort. Musk, in response via Twitter, made a baseless attack towards Unsworth saying that he would make a video to prove his contraption would have worked, tacking on, “sorry pedo guy, you really did ask for it.” Tesla’s PR efforts have regularly been under fire for their attacks on critics and the media, however, Musk admitted his mistake and pledged to be less combative on social media. On Aug. 2, Musk announced his short-lived plans to make Tesla private, stunning the financial world by stating he had investor and funding support to buy back shares for $420 each. Around this time, Musk was also romantically entangled with indie musician Grimes. Apparently, Grimes invited rapper Azealia Banks to Musk’s house to record a single, which was never recorded because Grimes was too busy “consoling [Musk]” over the tweet announcing his plans to make Tesla private, sparking frustration from Banks, according to The Ringer. Shortly after, he retracted this plan. One month later, Musk smoked cannabis with Joe Rogan on his podcast, The Joe Rogan Experience, in the state of California where cannabis is and was legal. “I’m not a regular smoker of weed,” Musk said as he took a drag of the cannabis and tobacco mixture rolled into a cigarette. Just hours after Musk smoked on the live web show, two senior executives for Tesla quit, causing shares to crash 6 percent. After that incident, Musk quickly transformed into a living, breathing meme. Musk began tweeting random things such as a fake article, “Elon Musk buys Fortnite and Deletes it” so that Musk could “save these kids from eternal virginity” on Oct. 19 and “I (heart) anime” on Oct. 22. Twitter actually temporarily froze his account under the presumption he had been hacked. On Oct. 25, “Send me ur dankest memes! !” was Musk’s noteworthy tweet. Twitter users were quick to respond with a thread of memes that targeted Musk, using the newly established viral meme of Musk inhaling smoke. There are several valid ways to interpret Musk’s behavior online. He has alluded to exhaustion on multiple occasions. In one tweet, he responds to the question “are you bipolar?” by saying “yeah… Maybe not medically tho. Dunno. Bad feelings correlate to bad events, so maybe the real problem is getting carried away in what I sign up for.” To be fair, no one can blame him for being exhausted. It cannot be easy to lead multiple companies for cutting-edge technology with the whole world watching your progress. Musk’s behavior is not inherently abnormal — it is only abnormal according to how billionaire technology leaders and innovators are expected to act. Smoking cannabis, engaging in meme culture, and baselessly attacking other public figures are things average people do on a daily basis, and it is only strange to witness because public figures such as Musk are held to inhuman standards and are assumed to lack personality, and instead exist only as spokespeople for corporate enterprise. I myself can acknowledge that Musk’s behavior is perhaps bad for business and PR, but I can sympathize with his desire to feel like a normal person. It must be extremely burdensome to be held to such a high standard at all times, despite possible mental and physical health issues. Perhaps Musk believed he could take a break from his prestigious status and descent into normalcy. After all, he has billions of dollars and could theoretically just give up on his endeavors and live a luxurious life without ever working again. Though Musk has certainly made mistakes, and even made a fool of himself in some cases, I commend him for standing by his work and pushing through in the name of innovation and advancement. I believe that when we look at Musk’s shifting attitude, we should not look at Musk himself, but rather, we should reflect on how those pushing frontiers in the public’s interest are expected to behave. Are our expectations reasonable, or do they inevitably lead down a path of isolation and loneliness with the whole world watching?